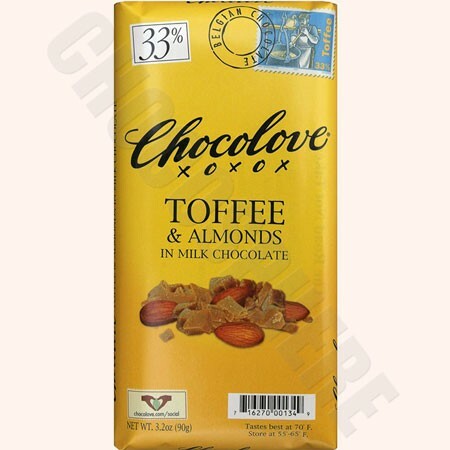 Chocolove Toffee-Almond Milk Chocolate Bar. Creamy milk chocolate releases chunks of buttery sweet toffee and dry roasted almonds. The buttery flavor of the toffee swirls in your mouth as your tongue chases every last bit. 33% cocoa content. Kosher-Dairy, Net wt 90g/3.2oz per bar.